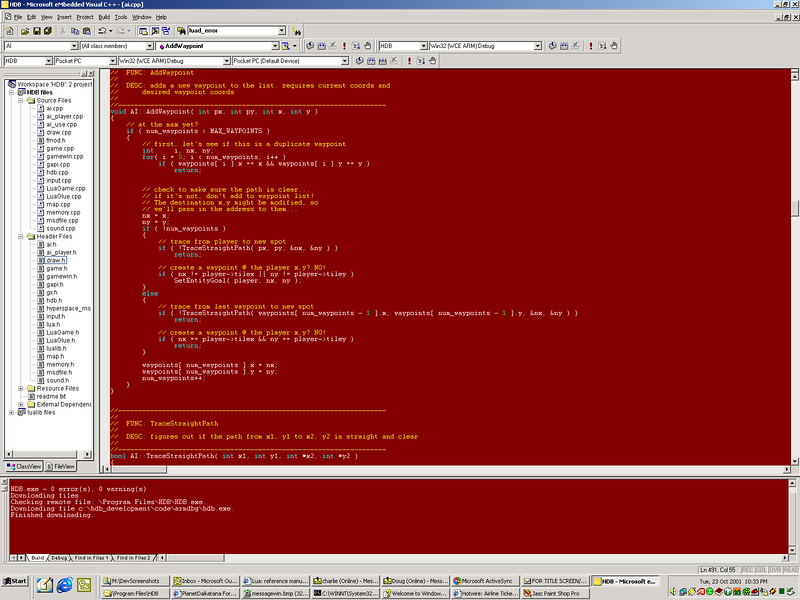 Here's a screenshot of me coding in Embedded Visual C++ for the PocketPC build of HDB. I was coding the waypoints (clicking the mouse will add a waypoint for Guy to follow). I always had my PocketPC connected to my computer so when I compiled the code I could upload it into the device and test it out. Really cool!